The great outdoors is loaded with a lot of peril in every step, but it is also loaded with the potential for finding yourself in the process. 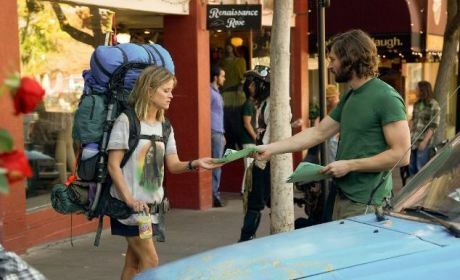 Wild is the story of Cheryl Strayed (Reese Witherspoon), who goes on a three-month trek totaling over 1,000 miles on the Pacific Crest Trail (PCT). At first glance, this may be self-indulgent, but it really isn’t. There’s a reason for this journey. Cheryl has gone through much tumult through her life, and to wash away the sins of the past, she must go forward into the present. Only then will a future manifest itself. Hiking has never appealed to yours truly, but there is immense respect had on my end for those who have done it and do it on a consistent basis. 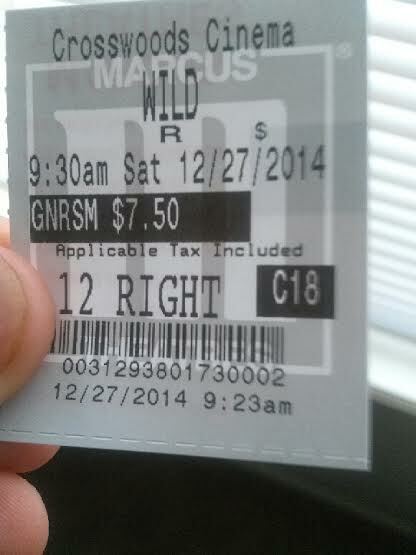 With that said, Wild really isn’t a movie solely about hiking; in fact, it has very little to do with it it. It is featured, but only as a backdrop to the main story. I imagine if I ever did go hiking, my feelings on it would be like the ones I have towards Wild: Cool to do once and interspersed with pleasant moments, but sort of an average experience with no desire to undertake again. Make no mistake, Wild, produced by Reese Witherspoon’s, is her vehicle and no one else’s. 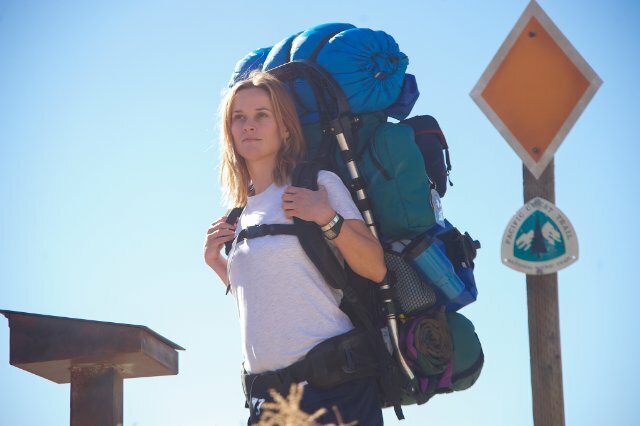 Her role as Cheryl Strayed is not a showy performance, but it would likely be odd if it was. The performance is more of a low-key, unglamorous, and less-is-more one. Reese is able to bring her character’s naivete and self-doubt throughout. She doesn’t really get much of a chance to deliver that attention-capturing moment, but a big part of that may be due to the character she is playing. Still, she essentially carries the film from beginning to end, which is a challenging task, especially in the format that the story is told. The work of Laura Dern here needs to be appreciated as well. Her screentime is not likely enough to build any buzz for awards, but the character she plays as Cheryl’s mother is an important one. For all intents and purposes, she becomes the tipping point for her daughter’s straying away from the woman she can and is expected to be. Each time she appears, her connection with her daughter is evident, which makes it easy to see why Reese’s character suffers when something bad happens. In these scenes, when it is just she and Reese, it can even be argued that she outshines her star counterpart. Others who appear here aren’t really worth mentioning, as most, especially the men, seem to only exist to either provide a danger element in spots. The storytelling approach in Wild is different from most. Under the direction of Jean-Marc Vallee (Dallas Buyers Club), he opts for more of a flashback approach. Little of the story is told is told by Cheryl in the present. Instead, people she encounters and just the difficult trip itself trigger those past events and give insight as to why she is doing this. It isn’t a full blown narrative, as the storytelling is more seeing her internal thoughts compared to hearing her verbalize them. As she gets deeper into her plight, more and more flashbacks are used. It is an interesting method, but it does become tiresome. Because they are deployed so often, the movie lacks fluidity and as a result actually makes it feel longer than it is. The terrain that Cheryl navigates isn’t necessarily the focus as alluded to, but it still serves as something pretty to look it. Vallen does a good job at utilizing those occasional wide camera shots that truly establish the detail of what the main character has to traverse. It is a nice reminder that though the journey is a largely mental one, the physical aspect still plays a formidable role. While it may lack fluidity in its story, the editing never suffers. Wild may not be engrossing or truly fascinating, but it is a fairly uplifting and solidly told film of one woman and her desire—need—to undergo a arduous hiking trip to put herself back together and reclaim control of her life. The experience in the great outdoors wasn’t bad, but exposure to the wild is a trip yours truly will only make once. Photo credits go to IMDB.com, moviefanatic.com, and wallpaperrich.com. Thanks for the comment! It isn’t bad, but it was kinda devoid of real interest. I watched because I wanted to see the hoopla of Witherspoon’s performance lol. Good review Jackson. It’s not the kind of role we usually expect from Witherspoon, but she’s good with it. And, she also makes the movie better. Her performance deserves recognition. Thanks for the thoughts Dan. Very nice review. This sounds like one of those ‘shed the good girl image’ roles for Reese. It has definitely earned her some attention. Still, I can’t get really excited for it. I do need yo check it out though. I would definitely consider her work here as good girl shedding Keith. Wasn’t enamored with the movie at all but I’m glad I watched just to have some thoughts on it you know? Great review. Saw this a few weeks back, and I liked it. I appreciated the fact that the movie didn’t descend into a bunch of “being one with nature” and “becoming enlightened” stuff, which it could’ve easily been. I completely agree about the flashback usage; it seems like a better idea on paper–to emulate how our memories/stream of consciousness usually works, especially when we’re left to our own–than in an actual movie form. Witherspoon was great, though, and Dern was even better. Dern was pretty much the main thing keeping the flashbacks afloat. Thanks for reading Polarbears! Dern does deserve more recognition. Glad I watched for the acting. There are so many of these movies, it’s hard to seperate them. Sounds very like Tracks earlier in the year. Yeah, I am truly #blessed to live by an inexpensive theater haha. Thanks for the comment man! I’d recommend this for the performances. Great review MMJ! I really liked this movie as well and also agree that Dern’s performance was solid and wish she was on-screen more. If only she has more time, I think a supporting nom could be a lock. Thanks for the comment Melissa! Ok remember on my review you said “it kinda sounded like 1st world problems & bland” so I REEEALLYY wanted that to be your review..hahahahha but we totally agreed as it’s not a great movie..but also not bad. and yes, a little more than 1st world problems hahaha but I found the supporting characters more fun for me.. Average film but not the WOW factor..
To be honest I liked it more than I thought I would! But like you said, not wowed by any means. I was definitely incorrect with the 1st world problems comment, but to say I was enamored with Cheryl’s tale would be a stretch too. Just slightly above average to me. Thanks for the comment!